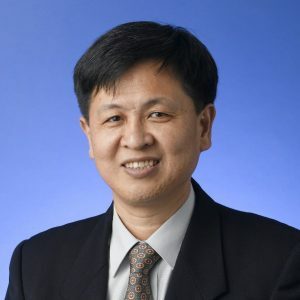 Prof. Gongming Qian is currently Chairman of Department of Management at The Chinese University of Hong Kong. He received his PhD in International Business/Management from Lancaster University, UK. His research interests include the financial economics of multinational enterprises and foreign direct investment, international strategy, and entrepreneurship. He has published widely in peer reviewed academic journals including Entrepreneurship Theory and Practice, Journal of Business Venturing, Journal of International Business Studies, and Strategic Management Journal. He co-edited a Journal of International Business Studies special issue published in 2017, and co-chaired the SMS (Strategic Management Society) special conference held in Hong Kong in December 2016. D. M. Boehe, Gongming Qian, and M. W. Peng (2016), “Export intensity, scope, and destinations: Evidence from Brazil,” Industrial Marketing Management, 57, 127-138. L. Li, Gongming Qian, and Z. Qian (2015), “Should Small, Young Technology-Based Firms Internalise Transactions in Their Internationalisation?” Entrepreneurship Theory and Practice, 839-862. L. Li, Gongming Qian, and Z. Qian (2015), “Speed of Internationalisation: Mutual Effects of Individual- and Company- Level Antecedents,” Global Strategy Journal, 5, 303-320. L. Li, Gongming Qian, and Z. Qian (2014), “Inconsistencies of High-tech Firms’ International Product Strategies and Their Performance,” Journal of International Marketing, 22(3), 94-113. Gongming Qian, Lee Li, and Alan M. R. (2013), “Liability of Country Foreignness and Liability of Regional Foreignness: Their Effects on Geographic Diversification and Firm Performance,” Journal of International Business Studies, 44, 635-647. L. Li, Gongming Qian, and Z. Qian (2013), “Do partners in international strategic alliances share resources, costs and risks?” Journal of Business Research, 66, 489-498. Gongming Qian, L. Li, and A. Rugman (2013), “Liability of country foreignness and liability of regional foreignness on geographical diversification and firm performance,” Journal of International Business Studies, 44, 635-647. Lee Li, Gongming Qian, and Zhengming Qian (2012), “Early Internationalisation and Performance of Small High-Tech ‘Born-Globals’,” International Marketing Review, 29(5), 536-561. Gongming Qian, Lee Li, and Zhengming Qian (2012), “Internalisation or Externalisation: What Determines the Model of Governance for Small- and Medium-Sized Technology Enterprises?” Journal of Global Entrepreneurship, 3(1), 83-90. Lee Li, Gongming Qian, and Zhengming Qian (2012), “The Performance of Small and Medium-Sized Technology-Based Enterprises: Do Product Diversity and International Diversity Matter?” International Business Review, 21, 941-956. Shaw X. Tao, Lee Li, and Gongming Qian (2010), “Should Chinese New Technology SMEs Remain Independent in Overseas Markets?” Journal of Chinese Entrepreneurship, 2(3), 255-269. Gongming Qian, T. Khoury, M. Peng, and Z. Qian (2010), “The Performance Implications of Intra-And-Inter-Regional Geographic Diversification,” Strategic Management Journal, 31. Gong-ming Qina, Lee Li, Ji Li, and Zhengming Qian (2008), “Regional Diversification and Firm Performance,” Journal of International Business Studies, 39, 197-214. Lee Li, Gongming Qian, and Brian Gaber (2007), “The Chinese Enterprise Secret: Sustained Advantage in Labour-Intensive Industries,” Journal of Business Strategy, 28(3), 26-33. Ji Li, Kevin Lam, Gongming Qian, and Yong-qing Fang (2006), “The effects of institutional ownership on corporate governance and performance: An empirical assessment in Hong Kong,” Management International Review, 3, 259-276. Kam-hon Lee, Gongming Qian, Julie Hung-hsua Yu, and Ying Ho (2005), “Trading Favors for Marketing Advantage: Evidence from Hong Kong, China, and the United States,” Journal of International Marketing, 13(1), Spring, 1-35. Ji Li, Kevin C. K. Lam, Leonard Karakowsky, and Gongming Qian (2003), “Firm resource and first mover advantages: A case of foreign direct investment (FDI) in China,” International Business Review, 12(5), 625-645. Gongming Qian and Lee Li (2003), “Profitability of small-and medium-sized enterprises in high-tech industries: The case of the biotechnology industry,” Strategic Management Journal, 24, 881-887. Gongming Qian and J. I. Li (2002), “Multinationality, Global Market Diversification and Profitability Among the Largest US Firms,” Journal of Business Research, 55, 325-335. Gongming Qian (2002), “Multinationality, product diversification, and profitability of emerging US small-and-medium-sized enterprises,” Journal of Business Venturing, 17, 611-633. Ji Li, Kevin C. K. Lam and Gongming Qian (2001), “Does culture affect Behaviour and performance of firms? The case of joint ventures in China,” Journal of International Business Studies, 32(1), 115-131. Ji Li, Gongming Qian, Kevin C. K. Lam, and Denis Yu-long Wang (2000), “Breaking into China: Strategic considerations for multinational corporations,” Long Range Planning, 33, 673-687. Gongming Qian, Denis Yu-long Wang, J. I. Li, and Lloyd C.L. Yang (2000), “U.S. Diversification in Global Markets: Strategic Combinations and Performance,” Global Focus, 12(3), 1-12.